During the 59 years of Samiti's existence, thousands of students have passed through Samiti's hostels. They are now in various fields at different levels. Some are abroad, some have set up their own business. All of them feel that Samiti's help has been a very important factor in shaping their careers. All of them have a keen desire to help Samiti's work. However, most of them are now scattered at different places in the country and abroad. There was a widespread desire that there should be some forum and some occasion at which past students could come together to renew their old friendships, even bring their families together and do something for Samiti. It was out of this feeling that about 23 years ago Shri S.Y.Nadkarni, a senior devoted friend of Samiti and Shri Ramakant Tamboli, a devoted rector of Samiti, took the lead in locating past students and collecting their addresses. This was the nucleus around which the Past Students Association (PSA) was built. PSA has made a substantial contribution to Samiti's funds. Some past students have set up information centres at their locations to provide information regarding Samiti hostels to deserving and needy students. As may be noticed from the list of Karyakartas given in "About us" section, many past students have become karyakartas and are shouldering important responsibilities in various areas of Samiti's functioning. Past students , who have not yet become members of the PSA are requested to submit membership form on line (to be activated soon) and join their old friends. Vidyarthi Sahayyak Samiti has a unique importance in our lives. All of us got a new perspective through activities like 'yogasane', 'earn and learn' etc.wherein we participated during our stay here. Day by day increasing inflation has also increased the expenditure for students, so you can help Samiti by taking responsibility of a student through 'palakatva'. Past students have been regularly coming together every year on the last Sunday of February for maji vidyarthi melava. 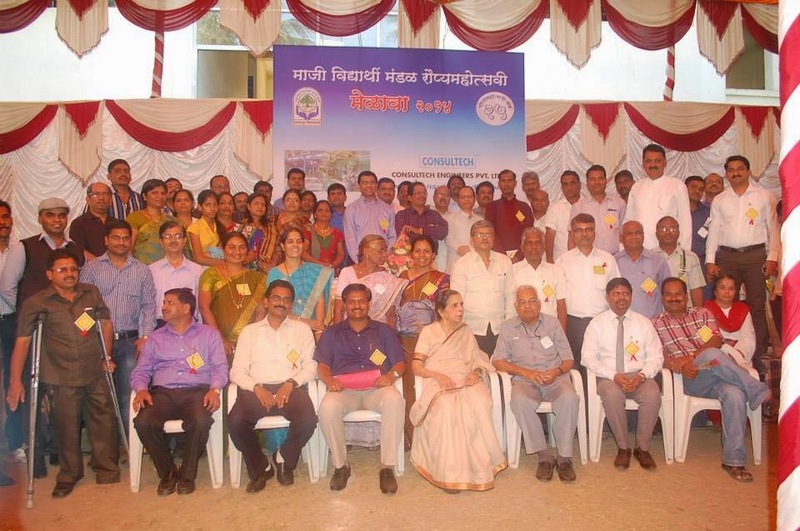 We recently had 25th annual melava on 23 Feb 2014. The year 2015-16 is 60th anniversary year of 'samiti', so let us all come together and join in to make this year memorable. It is an earnest request to you to kindly take some time out and visit our parent organization.